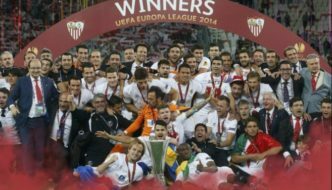 This time of the year fans get to know what kits their team will be wearing in the upcoming season and we have published most of the top european club kits which are officially released or leaked on our dedicated Football Kits 2015-16 page. Today we take a look at 10 of the best and worst football kits which has been released so far. 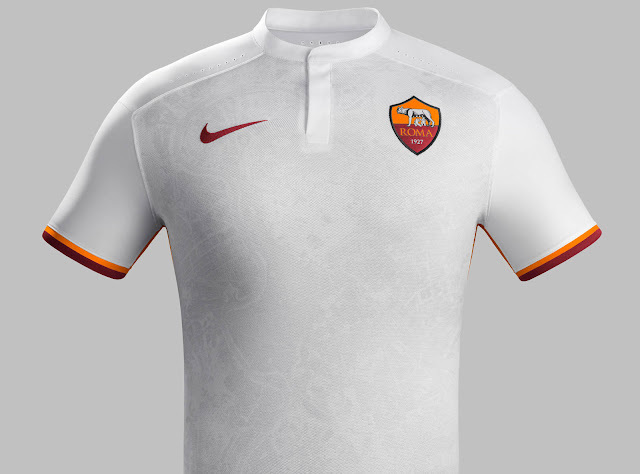 Some of the designs are classic rooted to clubs heritage and some are downright awful. 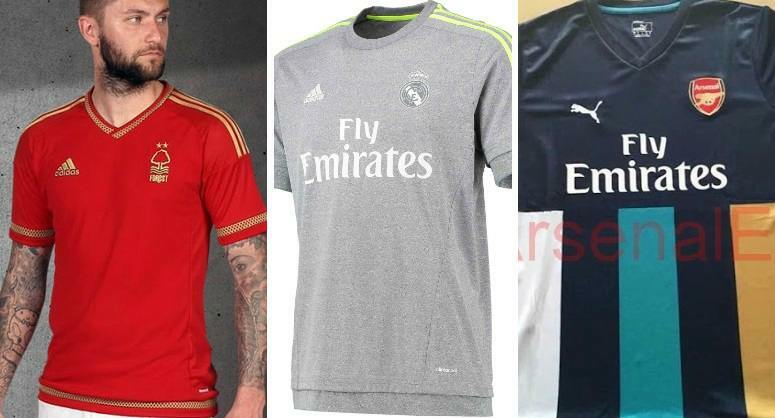 Lets start with top 5 worst kits you will see this season. 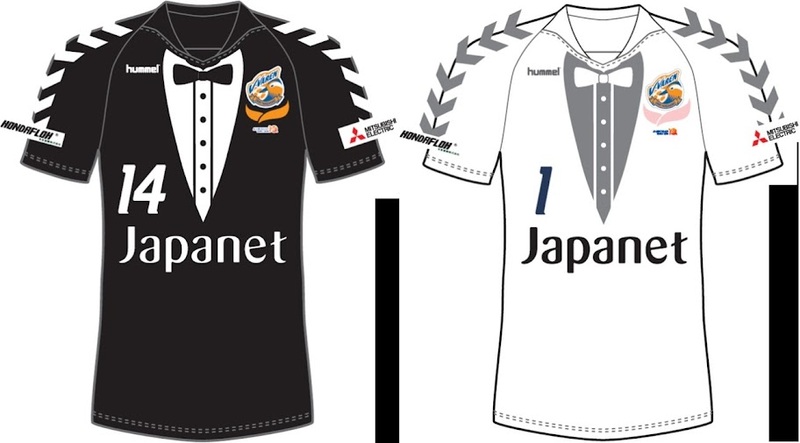 Both home and away kits of Japenese side Varen Nagasaki are modeled at “tuxedo design” to celebrate the 10 year anniversary of club. The team was promoted to J-League Div 2 in 2012. Designed by company called “Hummels” the kit is absolute terrible. Spanish club Rayo Vallecano’s 2015-16 kits are designed by “Kelme” and they released three kits for next season. 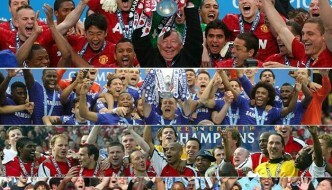 The home kit features a classic club colours and design while away and third kits are joke. 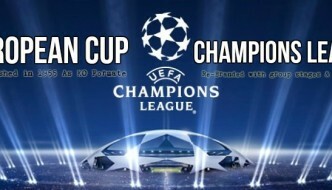 Although away kit represent fight against “social injustice” and club will be donating money for every kit sold. The away kit comes with navy as base colour and rainbow sash. 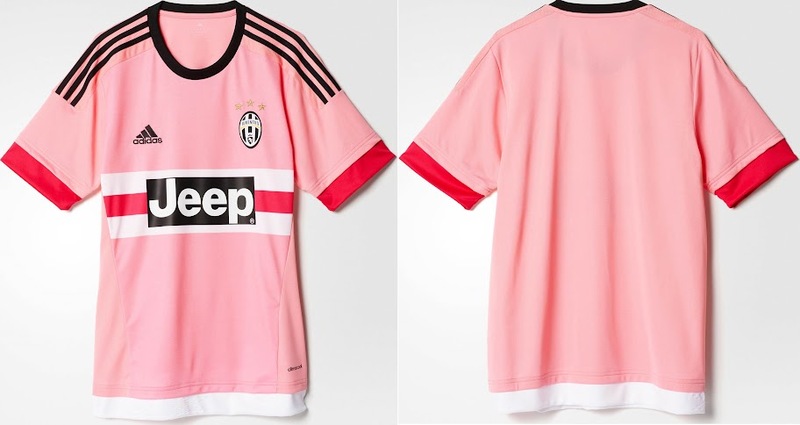 Similar design featured in the third kit but with pink sash. 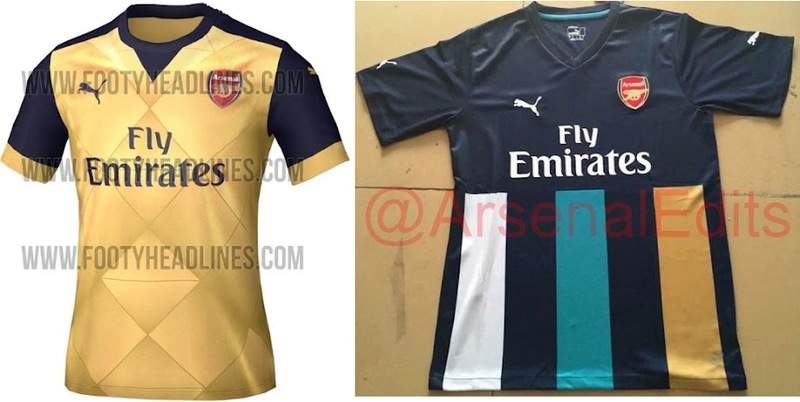 Arsenal’s new kit for 2014-16 season is a classic with traditional red/white colours and a touch of gold application across the home kit. 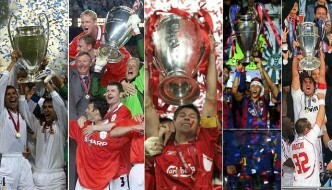 But the gold away and third kits are hideous to say the least. Juventus released their first ever home kit designed by Adidas which turns out to be a classic one and another third kit which comes in black and gold design which is pretty cool. We are just not too sure about the pink away kit which features ice-cream colours. Austria club SK Sturm Graz all three kits for 2015-16 season can be candidates for the worst kits of this season. 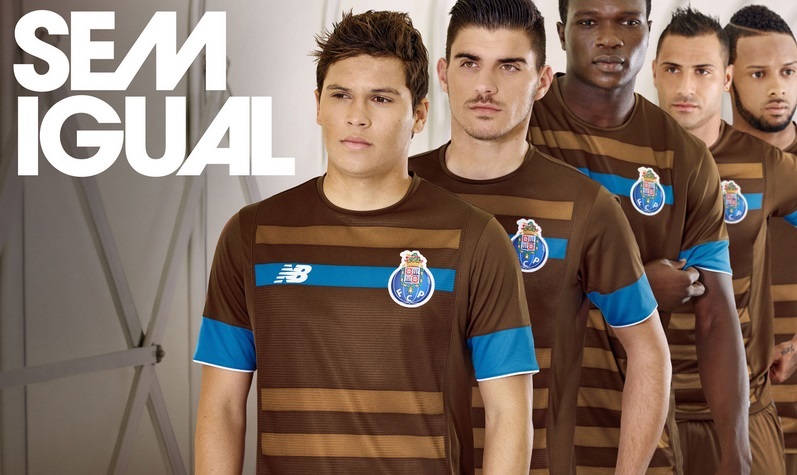 The new balance brown away kit for Portugese club FC Porto has received terrible reviews from the fans on twitter and we wonder why. Top 10 Best Kits of 2015-16 Season: Now we turn our attention to some of the finest kits released or leaked this season so far. There are few which comes with new concepts and hit all the right points and some feature classic clubs heritage with modern designs. 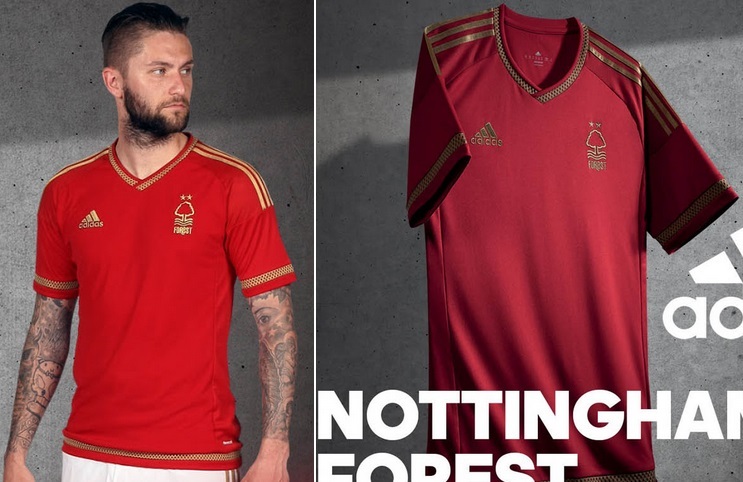 Now you won’t find a better kit than Nottingham’ 15-16 Home Kit designed by Adidas. It features superb blend of red colour and a gold application on v shapped collar. 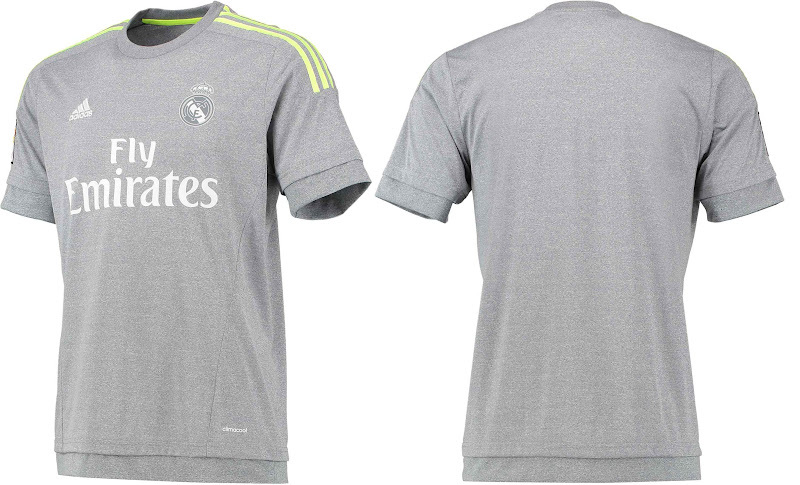 Real Madrid’s home kits are always same but Adidas came up with a unique design of grey coloured kit with yellow application which is absolute delight. 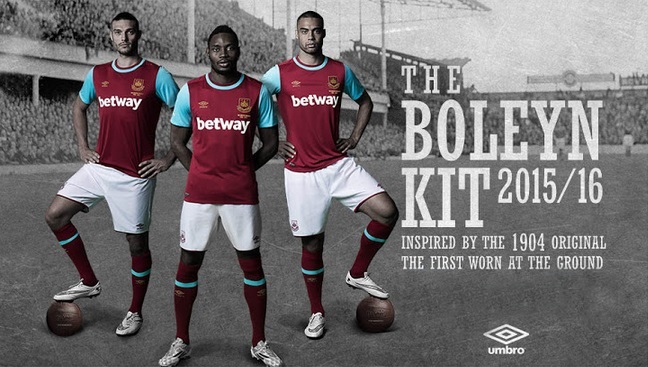 Umbro went with a classic home design for the last ever West ham home kit which will be used at the Boylen Ground. When they kit was released it broker West Ham official website.